Created by Doctors , Nutritionist, Registered Acupuncturists and Fitness Professionals this program will help you save time and money, reduce your “metabolic age” and live a Nulife. 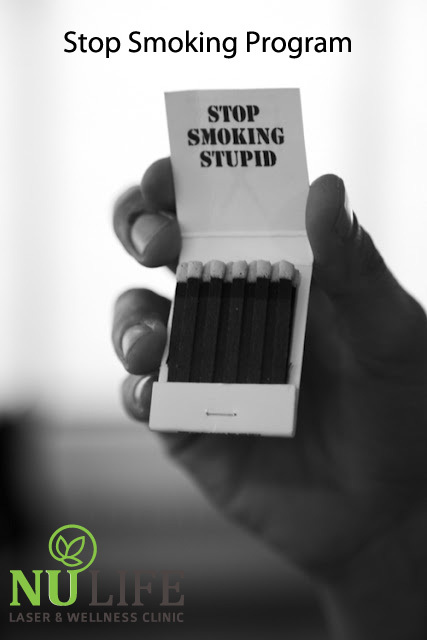 NuLife Stop Smoking Program has been created by professionals – Doctors, Nutritionists and Health Experts. Our Laser Therapy is FDA and Health Canada approved. NuLife Laser Clinic has been successful in helping thousands of smokers just like you to stop smoking. The unique method has become widely recognised as being one of the most effective ways to Stop Smoking and is endorsed and recommended by Healthcare Professionals. or check out our web for more info.. Tired of trying every single diet and not losing weight? Laser Therapy not only accelerates your metabolism, it also suppresses your appetite and cravings for food so that you are in control… finally! Laser Therapy is the #1 Natural Method in North America for Weight Loss & Metabolic Management. Suppress your appetite allowing you to feel full with a lot less food. Control your hunger cravings so that you are not craving food all day long. Raise your metabolic rate which increases your body’s ability to burn fat. Stimulate the release of endorphins so that you will feel relaxed and calm. Lets bring awareness to all parents and children in the GTA. Help us sent the message. If you know someone that smokes we can help him stop smoking. ‘Smoking and Drinking is injurious to health’ – There was a time when these warnings were displayed in microscopic letter on alcohol bottles and cigarette packets. This trend has undergone a radical make over with its mandatory display in macroscopic letters accompanied by terrifying pictures. Those obsessed with saving humanity from smoking and alcoholism were successful in producing advertisements and documentaries featuring the ill effects of smoking to be played before the start of the movies in cinemas. 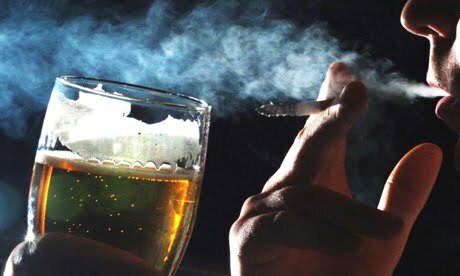 The television channels are forced to display irritating warning each time smoking or drinking is exhibited on the screen. Even the public display of alcohol bottles and cigarettes are being taken off. Are we going over board in this campaign against addiction? Isn’t this a case of smoked conscience and intoxicated pseudo morality? Strawberries- are enriched with a huge amount of vitamin C. Vitamin C helps to fight wrinkles and age related dryness in skin. WASHINGTON – Welcome to the measured life. When Tim Davis of Beaver, Pa., tipped the scales at 318 pounds two years ago, he bought a Fitbit gadget to track his physical activity and the Lose It! app on his phone to track calories. He bought a Wi-Fi-enabled scale that published his daily weight on his Twitter feed and turned to other apps to track his pulse, blood pressure, daily moods and medications. At one point, Davis said he was using 15 different apps and gadgets, which he said helped him drop 64 pounds by that following year. A growing category of devices and software applications promises to measure the mundane details of our daily lives: calories burned, diaper changes, how much and how well we sleep, caffeine intake, kids’ studying habits, household chores, even whether a baby is nursing more frequently on Mom’s left breast versus her right. TORONTO — It’s been villainized for harming cardiovascular health, but now a new study is suggesting bacon is also to blame for hurting male fertility. Researchers out of Harvard’s School of Public Health say that eating even a single piece of certain processed meats like bacon or sausage each day can damage a man’s fertility. Sorry, fellas. But if you’re in the business of baby-making, the study points to swapping your bacon breakfasts for fish like cod or halibut to keep sperm count strong and healthy. “We found the effect of processed meat intake lowered quality and fish raised quality,” lead researcher Dr. Myriam Afeiche told the Daily Telegraph in the U.K. 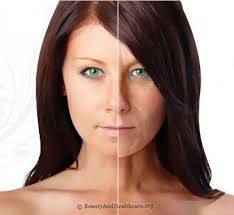 Her complete findings were published by the American Society of Reproductive Medicine. Read the full study here.